Like a scene out of a US medical drama where delicate open heart surgery was being performed, there was four of us hovered over the computer. Hope was fading fast. The lead surgeon, Willmo from Vintage FM, remained positive. His able assistants, not so much. 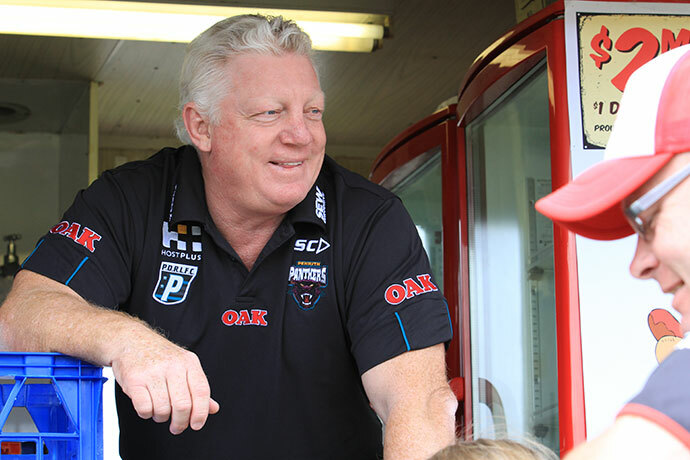 Let me paint the picture for you: Penrith Panthers legend Phil Gould (who has clocked up the rare trio of being a player, coach and administrator with the club) had been in about an hour earlier recording an episode of the Weekender’s ‘On The Record’ podcast. Gus was brilliant. If something ever happens at Panthers that makes you doubt him, spending an hour with the great man allays those fears. He is one of rugby league’s best operators. Gus had taken us through 58 minutes of podcast gold. His life in rugby league, the good times, the tough times, the challenges. At the end of the recording, Gus was gone like a flash. Off to another meeting. Off to put out another fire. I hit save on the podcast, and that’s where the medical emergency began. The word “error” is not something you want to see at this time. “Fatal error” is even worse. And so the emergency surgery began. But as they say in all those great dramas, “we lost him”. It was just one of those things. An error that I haven’t seen in years of working with that software and in radio environments. Just plain unlucky. With the audio gone and my retirement from podcasts looming, I thought I’d take the opportunity to run you through the highlights based on my memory and notes, because as always Gould delivered an incredible insight into life at the Panthers. • Gould revealed that it was former Panthers Chairman Don Feltis who first approached him about a return to the Panthers in 2011. 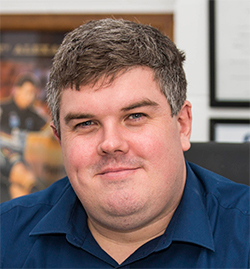 There was no phone call or formal meeting – Feltis simply approached Gus in the Channel Nine commentary box at Parramatta Stadium in round two, when the Eels hosted the Panthers. Gus thought he was coming for six weeks. Seven years later, he’s getting close to long service leave. 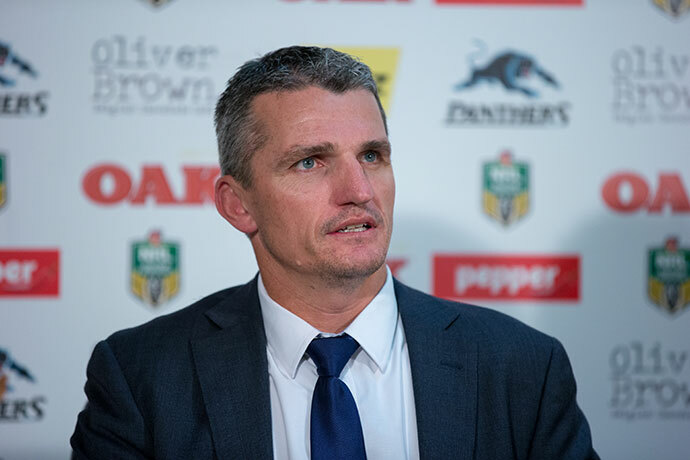 • Gould said the most difficult decision of the many tough calls he’s had to make as Penrith’s General Manager was sacking Ivan Cleary at the end of the 2015 season. But he stood by the decision, saying it was definitely in Cleary’s best interests and he was happy to see him doing well at the Wests Tigers. • He reflected on the 1990 and 1991 premierships, saying a strange scheduling issue was potentially the reason his side lost that first decider to Canberra. 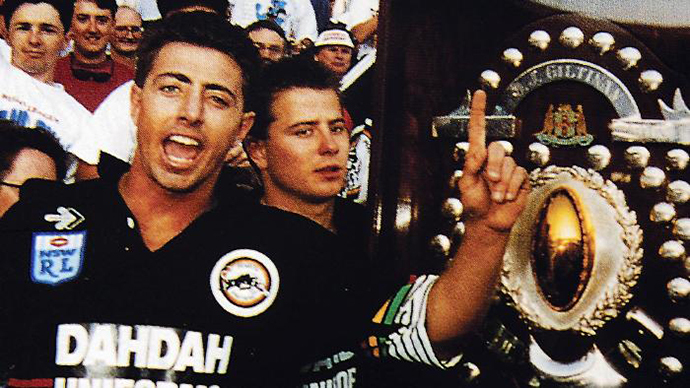 Greg and Ben Alexander celebrate the 1991 Grand Final win. • He said that the decision to release Matt Moylan and Bryce Cartwright was difficult, especially given they are local juniors. He said he wasn’t “heartless” and felt deeply about their departures. But he said neither made the most of their opportunities at Penrith. You get the feeling Gould doesn’t hold grudges though. He said he’d love to see both Moylan and Cartwright play for Australia and would be proud if they did. • Gould spoke of the difficulties he faced as a coach in the early 1990s after the tragic death of Ben Alexander in 1992. He said it was one of the most difficult times of his life. 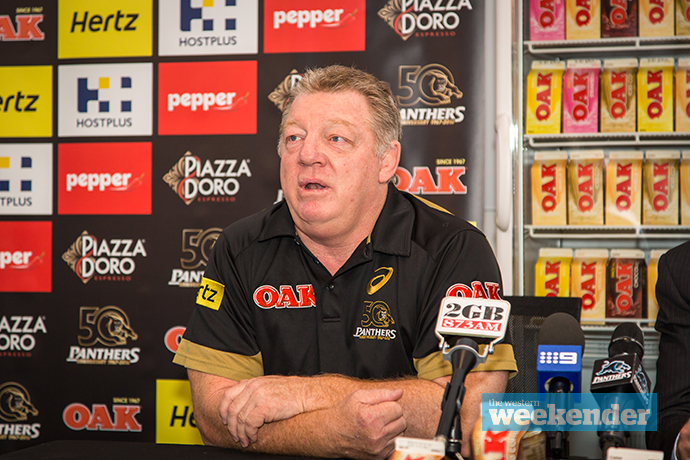 He is convinced Penrith would have won more premierships in that period had the squad not been torn apart. 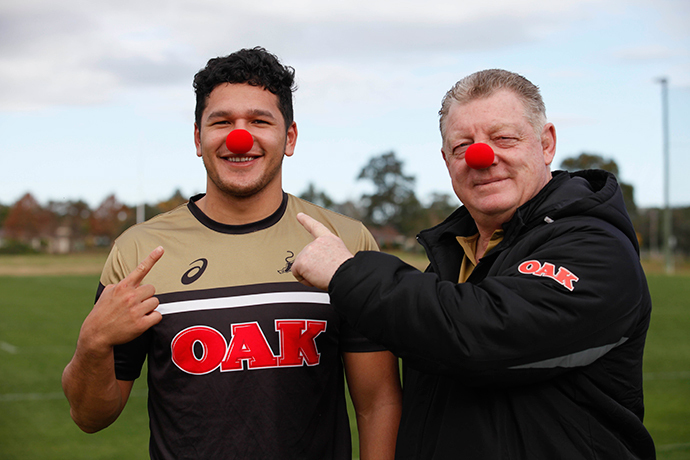 A bit of fun: Phil Gould with Dallin Watene-Zelezniak. • Gould chuckled about the ‘five year plan’ that is the go-to argument launched by Phil ‘Buzz’ Rothfield at The Daily Telegraph when judging Penrith’s success over the Gould era. Gus is strong in his belief that he never, ever said there was a ‘five year plan’, but of course acknowledged it was always going to take time to re-build the Panthers. • The 2019 Penrith squad is all but finalised, with Gould and co now working on the 2020 team. However, Nathan Cleary’s contract talks will hold up any progress on how the squad looks. There’s no pressure on Cleary, but the make-up of the 2020 squad will depend on his decision. 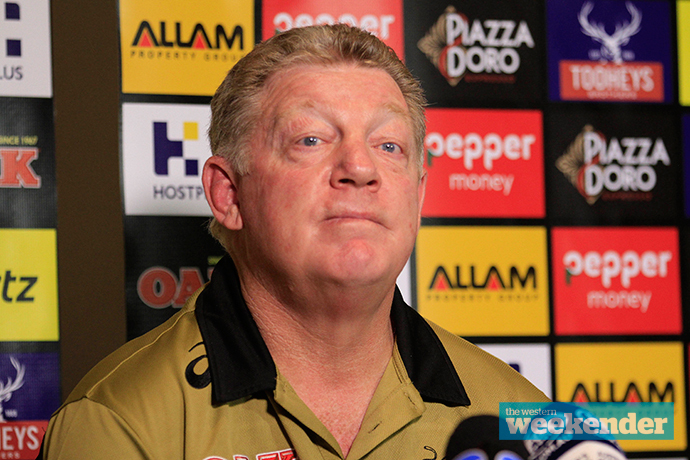 Phil Gould. Photo: Melinda Jane. • When will Gus leave the Panthers? At this stage, there’s no end date in sight. He believes the club is in a position where if he left today, the systems are in place for Panthers to continue growing. However, he said the Board and management still want him there and he’ll stay for as long as he’s needed. There’s no question Penrith remains in very safe hands with Gould. A lot safer than me with a piece of audio, anyway.